Situated in a stunning location on the Moray Firth coastline this dramatically shaped extension reflects the coastal features of the area. 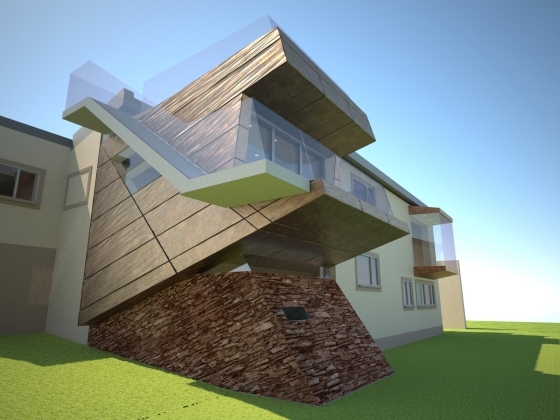 The unusual geometry was achieved using cross laminated timber panels making use of their biaxial bending properties. The adjacent walls of the existing house were opened up to link the new and existing internal spaces. Elsewhere, a cantilever balcony was added to the existing floor. 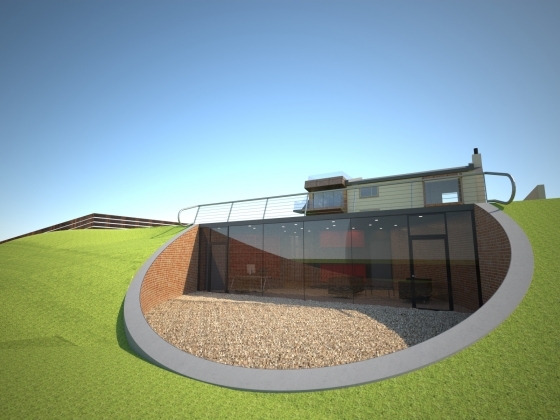 The scheme also included a circular retreat area recessed into the sloping rear garden. This was designed to resist lateral earth pressures from the retained ground behind and also to support the garden over a long span column free feature window.